It is important not only to have an extended shelf-life but also the packaging should ensure that it looks attractive on the shelf and sustains itself throughout the supply chain filler, distribution, transportation, retailing. Tin cans being shelf stable which mean "it can be stored at an ambient temperature without refrigeration throughout the supply chain". Highest filling speeds upto 1000 cans per minute. 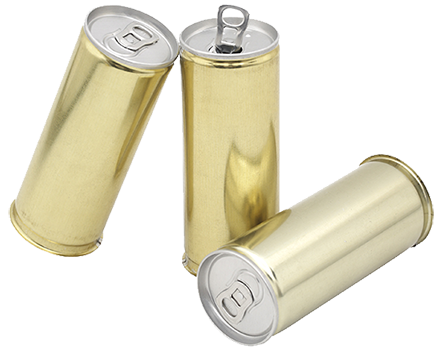 Beverage cans are used for juices, flavoured milk, beverages etc.